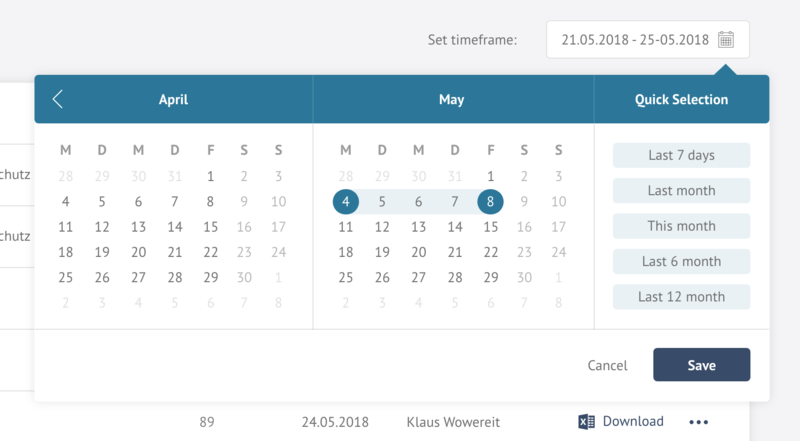 We have a situation where a user can select between multiple predefined dates or choose custom dates for reporting purposes. I'm struggling to brainstorm a flow of how to layout it on a way it shouldn't look like a chunk of data (maybe the break it in conditional groups) and to organize it in a proper way it should be easy for the user. 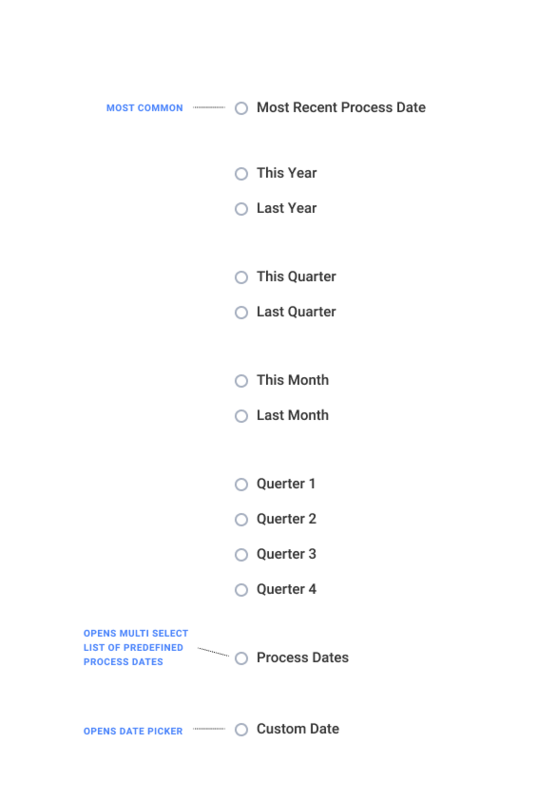 Had a similar case and used a text input field with an icon that enabled the user to choose a date by selection, with a set of predefined options (the most common sorting time frames for that use case). It works really well here, our users are tech-savvy and they had no problems to use this pattern. Not the answer you're looking for? Browse other questions tagged selection dates choices or ask your own question. How many “related content” options to offer users?